Rajasthan Royals captain Ajinkya Rahane won the toss and decided to bowl first against Mumbai Indians in the 27th IPL 2019 match at the Wankhede Stadium in Mumbai on Saturday. West Indies fast bowler Alzarri Joseph being ruled out of the ongoing IPL with a shoulder injury. Kings XI Punjab won the 32nd match of IPL 2019 against Rajasthan Royals by 12 runs at Punjab Cricket Association IS Bindra Stadium in Mohali. 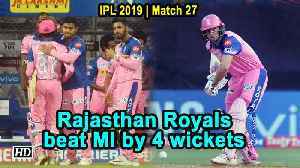 Rajasthan Royals won the toss and elected to field in the 32nd match of IPL 2019 against Kings XI Punjab at Punjab Cricket Association IS Bindra Stadium in Mohali. 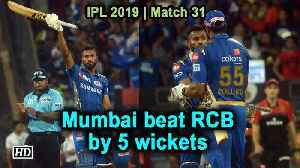 Mumbai Indians won the 31st match of IPL 2019 against Royal Challengers Bangalore by five wickets at the Wankhede Stadium in Mumbai. 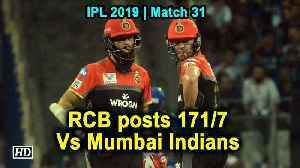 Mumbai Indians won the toss and elected to field in the 31st match of IPL 2019 against Royal Challengers Bangalore at the Wankhede Stadium in Mumbai. 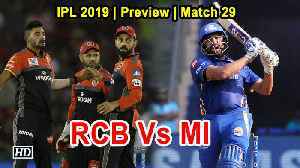 Mumbai Indians are set to clash with Royal Challengers Bangalore in the 31st match of IPL 2019 at Wankhede Stadium in Mumbai on Monday. 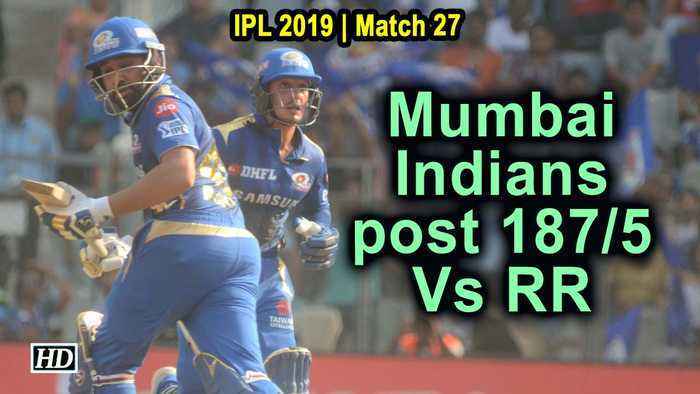 Rajasthan Royals won the 27th IPL 2019 match against Mumbai Indians by four wickets at the Wankhede Stadium in Mumbai on Saturday. 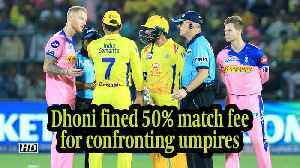 Chennai Super Kings captain MS Dhoni has been fined 50 per cent of his match fee for breaching the IPL Code of Conduct during his team's match against Rajasthan Royals in Jaipur. Mumbai Indians are set to clash against Rajasthan Royals in the 27th IPL 2019 match at Mumbai's Wankhede Stadium in Mumbai on Saturday.